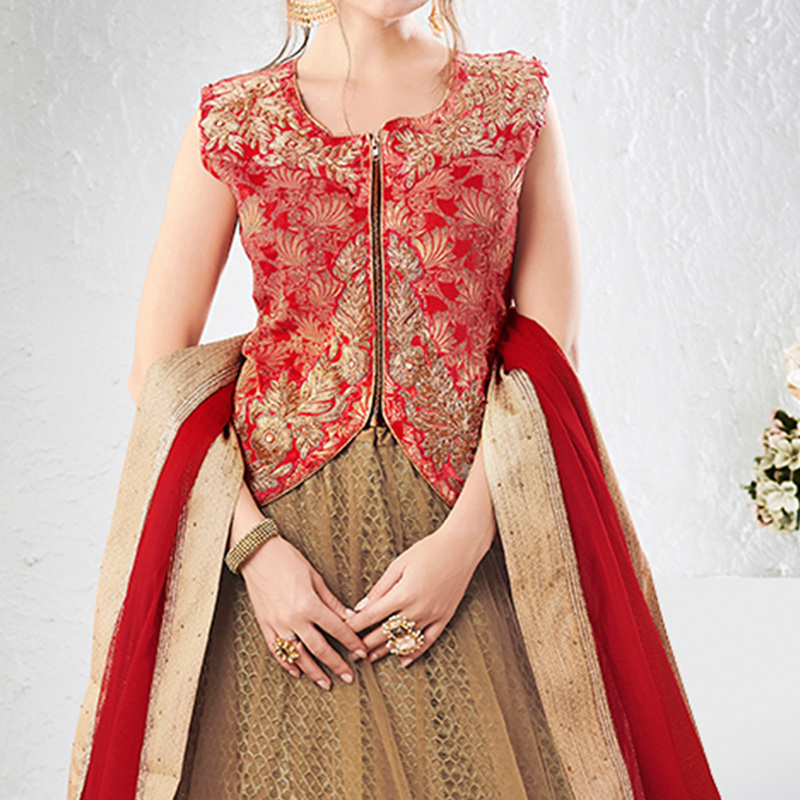 Look ultimately gorgeous on the most important day of your loved one's wearing this beige-red colored lehenga choli. The exclusive contrast colored heavy embroidered & lace border work is the main highlight of this attire. 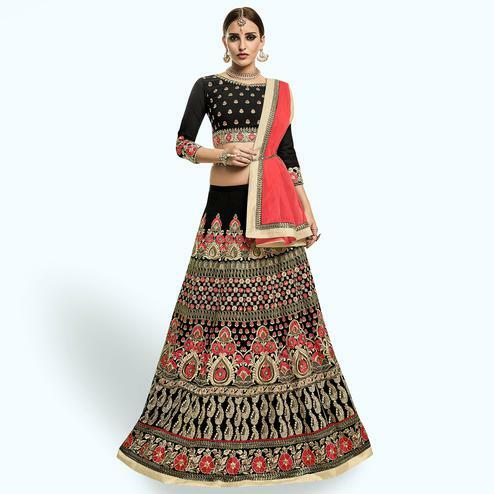 The lehenga is made from net fabric with inner and comes along with brocade fabric blouse & netted dupatta. It's a perfect dress to wear at weddings receptions & engagement ceremonies.